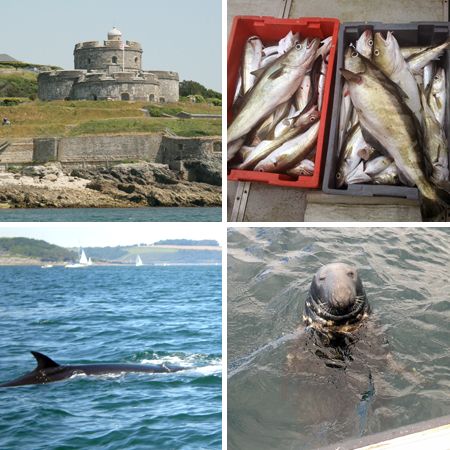 Our fishing trips are competitively priced in the area and you can pay in advance or with cash on the day. Our mackerel fishing trips need a minimum of two people aboard before we set off but give James a call beforehand and there may be other people who want to head out for a few hours. Mackerel trips need a minimum of two passengers. Beginners, families (and even well behaved dogs) welcome. Fishing equipment and instruction included!! Lucky dip! If there’s time, and weather permits, we’ll stop off and pull up the crab and lobster pots to see what’s inside.